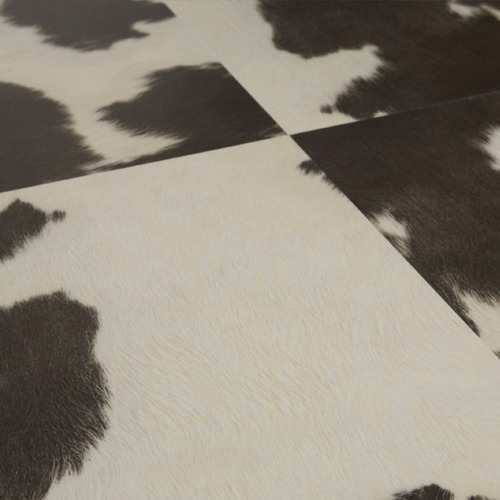 An incredibly realistic reproduction of cow hide in natural black and brown as well as a playful pink. Available in two tile sizes, large squares and elegant long rectangles. Use them separately or together in the same design, with this variation in sizes the design possibilities are endless.